Ms. Kennedy's practice focuses on Clean Air Act matters, including environmental litigation and counseling. 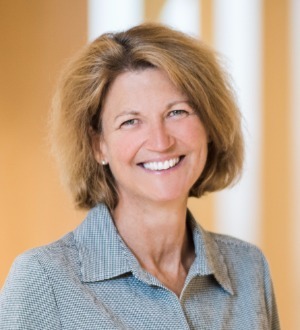 With over 20 years of Clean Air Act experience, her recent work includes representation of major natural resource companies and utilities in Clean Air Act regulatory, enforcement and permitting matters. These matters include NSR enforcement, regional haze, climate change and tailoring rule BACT analyses for greenhouse gases, PSD permitting and compliance, as well as analysis and development of federal MACT rules and NSPS requirements. She works with clients on complex PSD/NSR issues such as NSR enforcement, increment tracking, power plant and other industrial source permitting and compliance, BACT determinations and related climate change issues including greenhouse gas reporting and emissions analysis, major modification analyses, as well as emission reduction credits and nonattainment offsets. Additionally, she develops federal MACT standards, addresses mercury control issues for power plants, and other industrial operations, and works closely with major trade associations on NAAQS development and implementation. Ms. Kennedy also provides counsel in the environmental aspects of property and business acquisitions, environmental auditing, Superfund, hazardous waste cleanup, and litigation issues, including issues unique to multi-party sites. Ms. Kennedy works closely with industry and national trade associations on issues related to climate change and Clean Air Act regulatory and legislative reform.